Pictures taken from Google StreetView Thanks! Hong Kong is a definite trip. They say that New York is the city that never sleeps, but Hong Kong doesn't even stop for a 10 minute coffee break! Everywhere, you'll find yourself pushing through masses of people and traffic. No buildings seem to be smaller than skyscrapers. Private space is practically nonexistent: you'll see people practicing Tai Chi in stairwells, just because that's the only halfway private place they can find. The main part of the city -- the Central District and Wan Chai on Hong Kong Island -- is squeezed into a narrow strip of land along the north coast of the island, with a mountain rising directly behind it, the Peak. Every piece of available land with the footprint for a single-family home has a 30-floor building soaring up from it. So, after a few days of running through the mobs, you'll find yourself aching for some nature and quiet. That's why Bowen Road has become the city's main running track. 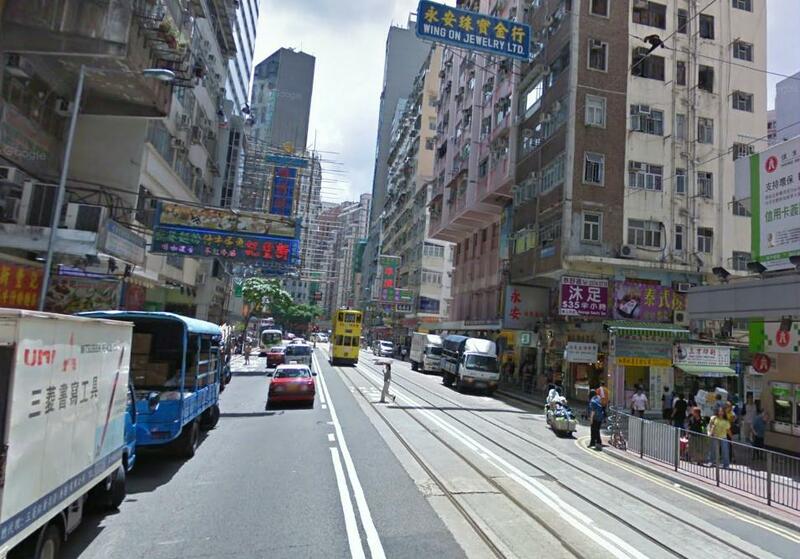 This level, semi-pedestrian road lies up on the hillside, in the Mid Levels, parallel to the strip of city below it. There are various access points, depending on where you're staying. Bowen Road runs from Magazine Gap Road in the west, in the Central District to Stubbs Road in the east, in Happy Valley near the horse-race track (the Hong Kongers are big gamblers!). Bowen Road itself is only 4 km long. You can also easily access it from Wan Chai by slogging straight up Wan Chai Gap Road, which bisects Bowen Road in the middle. I will assume that you want to start at the Central District end, though, so we'll begin on Cotton Tree Drive, at Hong Kong Park. This is right near the lower station for the Peak Tram (that's another great route, if you stay on the weekend!). The Citibank and Bank of China towers are looming up across the street. The beginning is simple to describe: just keep running uphill. You'll see the Peak straight ahead, so just follow your nose. This is the hard part of the run, but think of it as a great training opportunity. 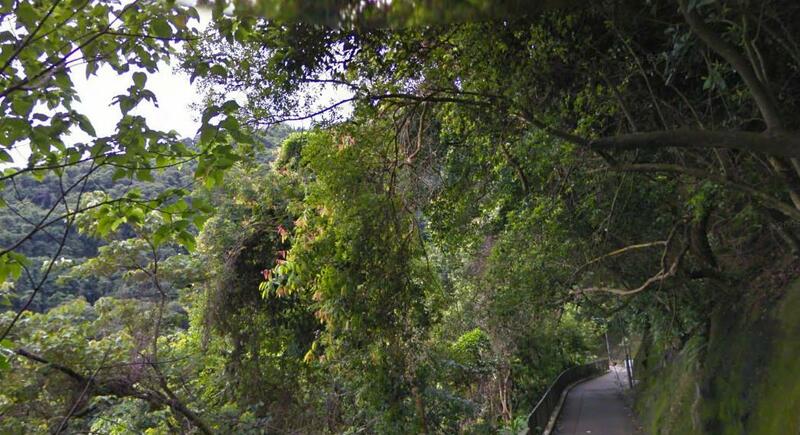 Just follow Cotton Tree Drive uphill, where it becomes Garden Road, then does a serpentine to the left, becoming Magazine Gap Road. You'll pass a white classical building below, on your left, and see Bowen Road splitting off immediately on the left side. Take that turn! Once on this quiet road, you've got a flat, tree-lined route with a great view over the city for the whole run. Suddenly, you're immersed in a whole other world, with jungles, vistas, woods. It's a little paradise just above the loud city life below. Interesting view? Welcome to Bowen Road! There are a few houses and cars along this 1-lane street, but it definitely belongs to the joggers and dog walkers (not necessarily in that order). The eastern end of the road is basically car-free. Just keep trucking, enjoying the jungle and the constantly changing views. After 4 km, where Bowen runs into Stubbs Road, you can turn around and head home again the same way that you came. NOTE: If you want, as an alternative way back, you can turn down Wan Chai Gap Road and run straight down to Wan Chai, for something different. At Kennedy Road (another tree-lined mid-levels road, running parallel to Bowen Road), you can then turn left head back towards Hong Kong Park. Is there a contact number I can call for a fun run in october 2011? Try the http://www.hkrunners.com/ website. They list a lot of runs in Hong Kong, for example the National Day Race on 1 October. They also provide registration information. Thank you very useful. I would just suggest to go by taxi at the beginning of Bowen Road: the traffic is heavy from Cotton Tree Drive up to Magazine Gap Road that you breath all the car emission CO2. Thanks for the tip, Gianni!